Wellington’s public transport has often (recent troubles excluded!) been seen as the best in New Zealand, and better than most Australian cities. Wellington, with 80 per capita boardings, is only behind Melbourne and Sydney when it comes to how many people are using public transport. Auckland comes in at a measly 47. However, this level of public transport use has led to a belief within some circles that Wellington services are as good as they could be. 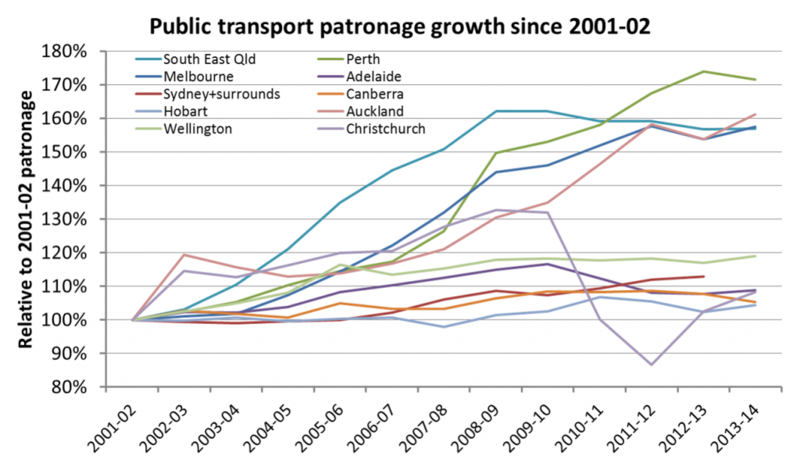 In reality, public transport in Wellington has been starved of investment; especially within Wellington City itself. Large sums have been spent on the rail network over the last decade, but even these have focused on modernising well out of date infrastructure (new trains, replacing life-expired and failing infrastructure), rather than serving new communities. 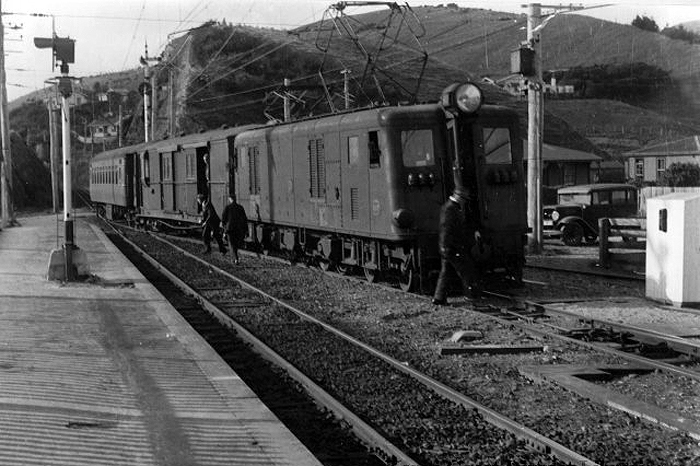 The only exception to this was the much welcome 7-kilometre extension from Paraparaumu to Waikanae in 2011, but that’s not much progress considering Wellington had electrified rail services to Paekakariki in 1940 and to Upper Hutt in 1955! Almost nothing has been spent on improving bus services within Wellington City. Even basic low-cost improvements like signal priority and bus lanes have barely progressed in recent years. This has left a bus system with a good level of frequency on core routes during the day, but a system plagued with poor travel times, unreliability, and serious congestion along the Golden Mile. Well-meaning attempts to improve the bus system by reducing bus numbers along the Golden Mile have spectacularly backfired. One option for Wellington is to continue this level of marginal improvements and flat-lining patronage... as per current efforts perhaps. However, the other option for Wellington is to lift the vision for the city. Sure it might make us feel good (or at least not embarrassed), to look mostly at the relatively poor-performing suburban cities in Australasia and North America. Especially given our decades of underfunding for public transport. But it’s actually good for us to look at cities that are much more closely matched to Wellington’s compact urban form. Let’s look to medium density, moderate sized cities in Western and Central Europe. And what do we see? These support extensive public transport networks. one tiny improvement is the ability to use snapper on all the regions buses, but the trains are still antiquidated in this manner. I heard there was union resistance to this because it’d remove need for much ticket-taking therefore less need for guards. I recall some stoush in AK about de-staffing trains…. is there similar conversation in Wgtn? I cant see how they can remove the guards as the wheelchair ramps have to be manually operated and are somewhat cumversome. Also tunnel evacuation issues to consider. Security must surely be a large part of it – but also monetary. There’s no gates on any of the stations – if no one is checking tickets on board, then what incentive is there to ever buy a ticket? If Wellington was gated it would probably capture 90% of trips, although people could get off a train at Ngauranga/Takapu Rd, tag on and get next one. Revenue vs cost of collecting revenue & deterence fines. “what incentive is there to ever buy a ticket?” – the German way is random inspection and hefty on-the-spot fines (which NZ legislation now allows, I believe).